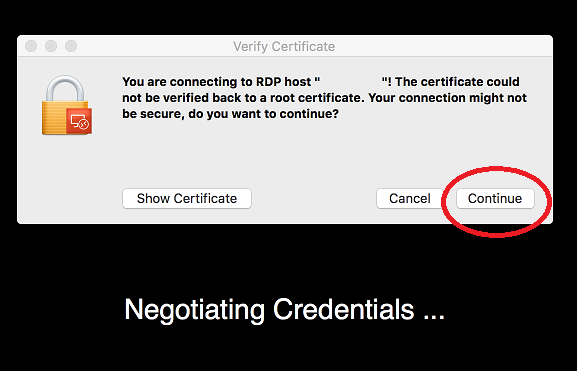 How to connect to VPN, the terminal server, and your office computer from your personal Mac computer after VPN has been installed. VPN is only for off campus use. Use the terminal server to access your network drives and internet. This servers acts just like a computer on campus. Note: You must have VPN installed on your computer before connecting to it. Click here for instructions. You will not have internet access while connected to VPN. Connect to the terminal server if you would like to access your network drives and the internet at the same time. Step 1:Click on Applications in your dock. 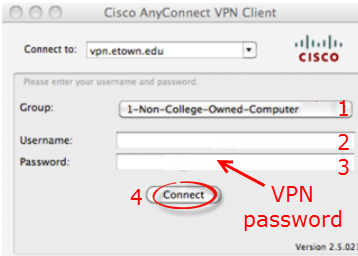 Select Cisco, then Cisco AnyConnect VPN Client. Next to Connect to, type "vpn.etown.edu" if it is not already present in the field. Click the arrow next to Group and choose 1-Non-College-Owned-Computer. 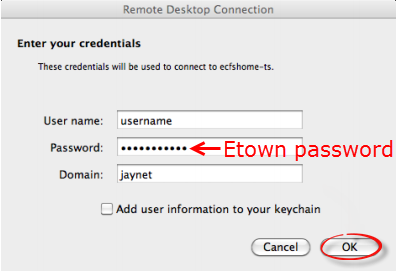 Enter your Etown username and the password you provided on the VPN form. Click Connect. Note: Make sure your username is all lowercase, otherwise you will not be able to connect. You will be locked out after 10 unsuccessful attempts to log in. Contact the Help Desk to have your VPN account unlocked. You are now connected to VPN, which is indicated in the upper right corner next to the time. 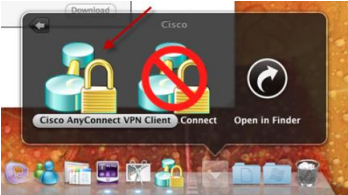 Step 1:Click the VPN icon in the upper right corner. 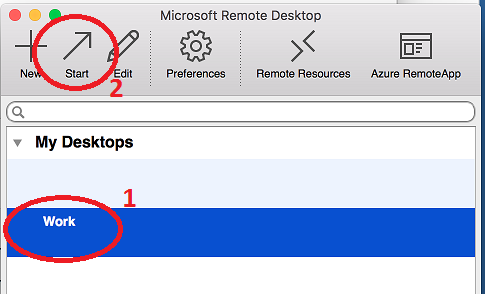 Before you can connect into one of the Terminal Servers or your Etown desktop, you need to create the Remote Desktop Connection. To do any work on your network drives at home, you must connect to the terminal server. This is a remote desktop connection to a server named ecfsHome-ts (faculty/staff) or ecStudent-ts (students). You will log onto that server with your Etown network username and password. The terminal server is simply a college computer that you can use from home, or even your office. Faculty and Staff can also connect to their office computers using the name of the computer for the connection. Make a note of your office computer's name. It will be on a label on the outside of a desktop computer or inside, above the keyboard on a laptop computer. Leave your office computer on when you want to connect to it from home. 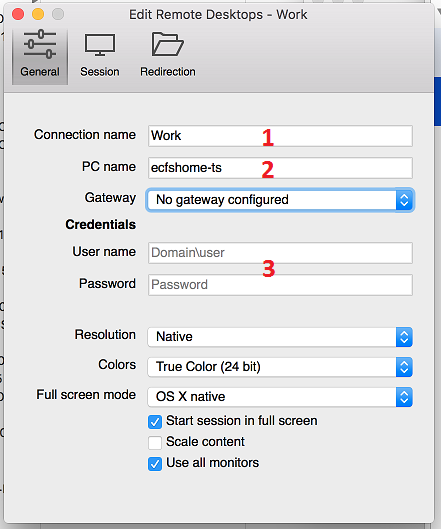 Step 1:Download the Remote Desktop Connection Client for Mac, if you do not already have it. 2 - PC Name - the name of the computer or server for the connections (e.g. ecfsHome-ts for faculty/staff or ecStudent-ts for students, or your office computer name). 3 - If the connection is on a secure machine, you may enter the credentials for the connection. Do not enter credentials if you are connecting through an unsecure or shared computer. Close the window. Your connection settings will be saved. After you have created and saved your Remote Desktop connections, you can choose the machine for the current connection. 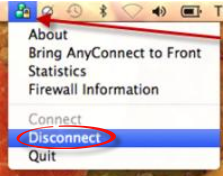 Choose your saved connection (1), and click Start (2). 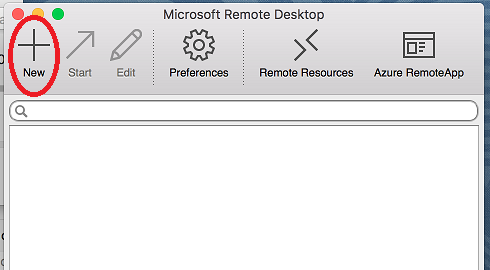 If you haven't used the Remote Desktop Client before, see the Create Remote Desktop Connection section. If you receive a security warning, click Continue. If prompted, enter your Etown username and password. Type "jaynet" for the Domain. Click OK.
You will be connected to the selected computer or server.